Can we bring back awnings to UK housing please? We need more shade and less overheating. They add character and variation to the elevation. And as if by magic… in fact by the incomparable Andrew Cadey. Hi Claire, hope you’re having a grand adventure. I agree re awnings and can think of somewhere that would definitely benefit from them. They would have to be orange though. To be included in the 5 year plan. Hi Julie. I’d love to see neighbours’ faces if we propose a half million pound awning programme having replaced our communal heating system to the tune of… £ouch already. But we can fantasise. The colour choice would be tricky: I think I’d go for green. Any other Ruskin Parkers care to choose a colour, or even mock up a photo…? Are shutters allowed as well? Even brise soleil, which have been making appearances in the UK. Very effective in 30 degree heat in Madrid at the moment! Shutters are OK but they are either closed or open somehow – not much user finessing possible. 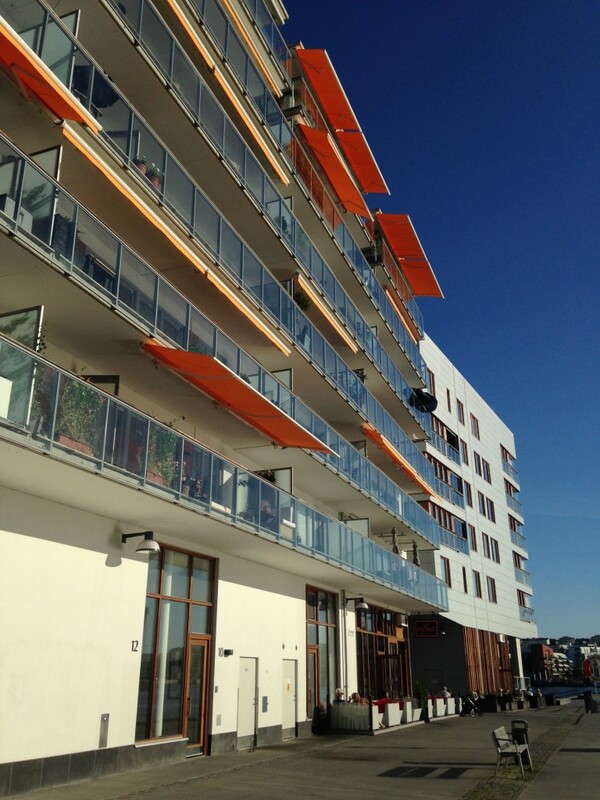 The beauty of awnings for a northern climate is that they can be adjusted a bit according to the sun’s height. 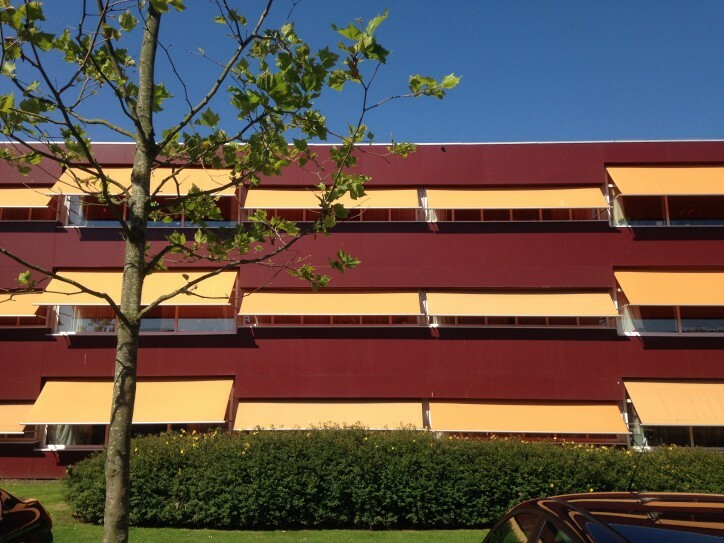 Brise soleil are a little rigid… but look great on the drawings of course, as Corb knew. Couldn’t agree more. 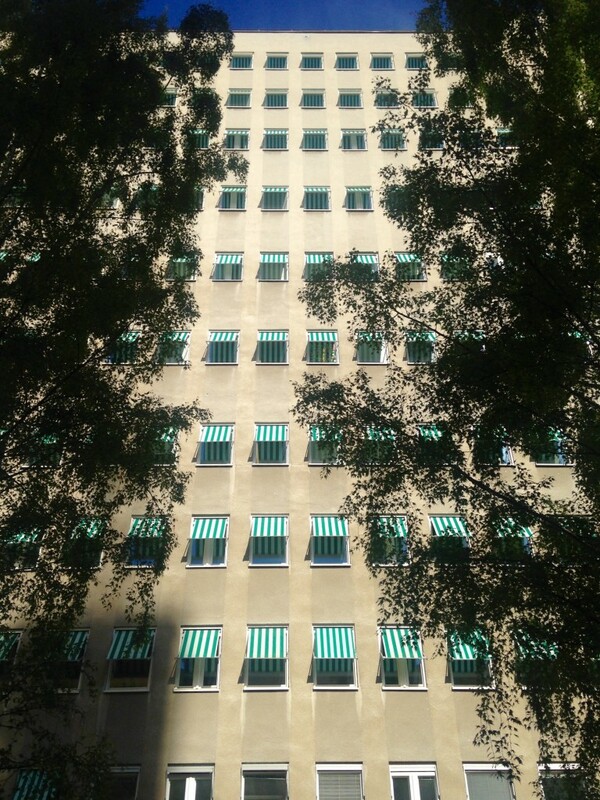 Awnings are a thing of beauty from the street level and keep your flat nice and cool. 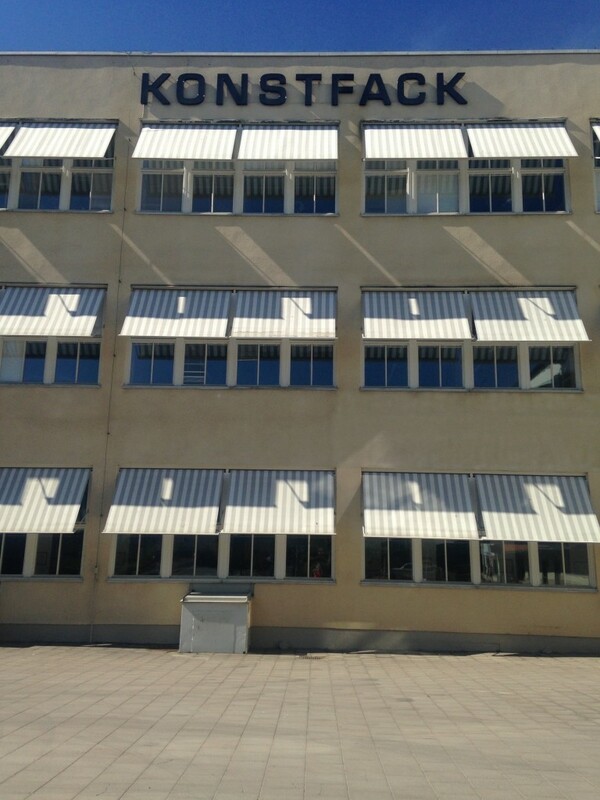 Spent sometime in Norway earlier this year and almost every new home seemed to have awnings as standard – perfect for the northern climate. Have witnessed a few projects suffering from overheating and retrospectively having aluminium brise soleil tagged on at detailed design/post-occupation as checks not sufficient enough*. 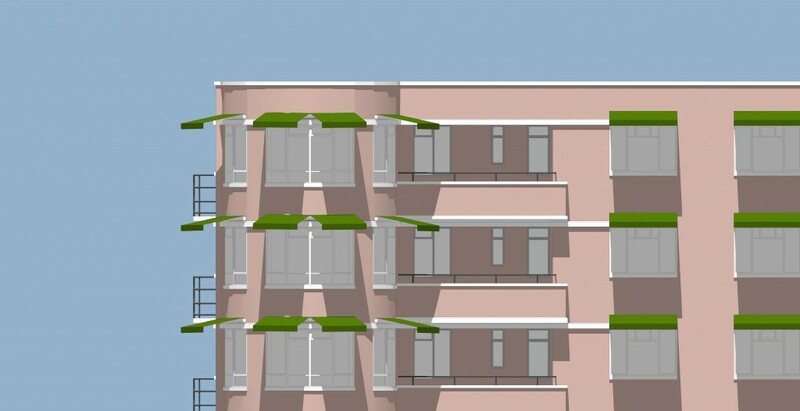 Apart from the fight with the planners to ammend the application, they just look like an after-thought. *Overheating gets checked for in current SAP (2013) modelling, but from what I understand doesn’t seem efficient enough (also can be manipulated/offset in software) nor does it take into account future climate change.